It’s already been over another 2 months since I last gave an update on how I’ve been evolving my blog. In these "Blog Update" posts I list any notable improvements, modifications, or milestones related to my blog such as new plugins installed, design changes, or new features. However, I try to only list things here that I haven’t already announced or touched on in other posts. 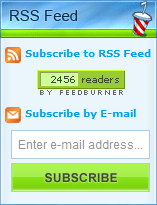 A few days ago, on February 10th, I set a new RSS record of 2,456. During my last Blog Update post on November 17th 2009, my RSS was 2,345 (a new high at that time), so it has only grown by 110 during the past 3 months – roughly +1 per day. But, it is a new record so I like to acknowledge it anyway. This isn’t too surprising though. It’s been a week since my last post and I just haven’t been posting very frequently lately. This is mostly due to having too many projects going on these days. I’ll try to make a conscious attempt to ramp up the frequency of my posts though. While the amount of comment spam has always seemed to be on a steady increase the larger this blog grew, I started to receive a ton of spam from one particular user (spambot) in particular a couple months ago. The spammed comments were made under the guise of “mary” with a URL I will not name here as to not reward their spammed efforts. Now, all of her spam was correctly being identified by Akismet and being placed in the Spam folder, but I was getting around 100 of her comments a day which clogged the Spam folder, making it a real chore to weed out any legitimate and incorrectly identified comments. If I didn’t check the Spam filter in a week then I’d have over a thousand of her comments messing up the place. I asked John Chow if “mary” had been comment spamming his blog as well, but he said no. 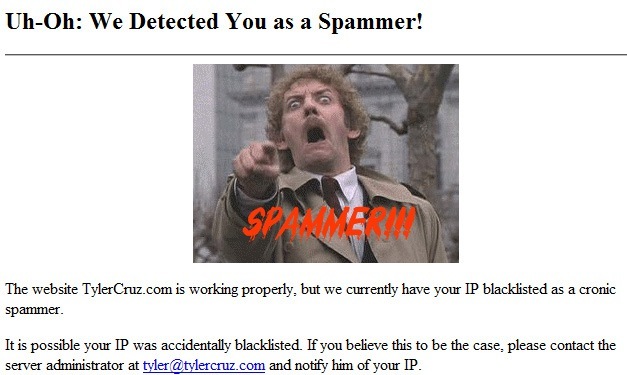 However, he reminded me that I could use .htaccess to simply deny its IP from visiting my blog. Instead of simply denying the IP, I came up with a slight variation. I find this method to be more effective since it allows me to redirect the spammer to a page with a custom error message. This way, if a legitimate user is somehow accidentally blacklisted, they still have the opportunity to notify me of the mistake instead of simply seeing a 403 – Forbidden status error. Feel free to use my little modification if you ever find yourself in a similar situation. As always, WordPress and the various plugins I use are constantly coming out with new versions, and I try to keep up with them the best I can. I always like to keep up-to-date with the latest WordPress versions to help protect myself from any security or bug exploits. Therefore, I upgraded WordPress from v2.8.6 to v2.9 which was the “Carmen” major release, and then again from v2.9 to v2.9.1. I still do all the WordPress updates manually (as opposed to the automatic upgrading) as I trust that method better and also have to modify a few other files by hand each time as well due to certain special tweaks and modifications. One of the inevitable downsides that occurs when a new version of WordPress is released is that all your plugins suddenly have new updates as well. When you’re updating everything manually and keep records and backups of everything, this can be quite the nuisance… especially when you have over a dozen plugins to maintain. You can download the plugin here, and read the thread in which people are having issues with it here. I upgraded the Kimili Flash Embed plugin from v2.0.3 to v2.1.1. This is a pretty useful plugin which allows you to embed Flash inside your posts. This is great if you need to add Camtasia videos or Flash games to your posts, for example. I recently increased the price of my Top Sitewide 728×90 Leaderboard banner slot from $300/month to $325/month simply because I value my traffic quality and don’t mind substituting my own affiliate/referral banners if it’s not sold. It was just purchased a couple days ago so I need to put the new banner up and mark it as sold out again! If you’re interested, please contact me with a sample post or two. Please understand that I’m looking for fairly long, well-written posts that I think my readers will enjoy. If I think your writing style and post-length is suitable for my blog, I’ll upgrade your account to Contributor status within WordPress, so that you can submit a post whenever you’re willing. I like the picture with Donald Sutherland 🙂 He really looks like he hates spammers. and did what you did, but do you know what they did? they went and used a proxies to post on my websites…. and it solved the problem for me. “Cronic” spammer. Check out a dictionary dude. Actually, “chronic” is correct and “cronic” is incorrect. Perhaps you should take a dose of your own advice? Epic facepalm. I was quoting you when I typed “cronic”. That’s how you’ve spelt it, when as you point out yourself, the correct spelling is chronic. I consider you an Internet marketer and not a “blogger”. If that is true you should know that most people do guest blogging to get the links and don’t care one bit about the traffic. Only someone who is following the hopless A-list method of becoming a famous blogger would care about getting traffic from your site. 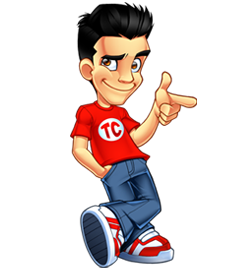 It’s all about the links for anyone serious about Internet marketing. Wouldn’t he be both? We can have more than one title in life, you know. You should redirect them to a rick roll…..
You should use a better method for ip detection. There are some open source codes out there that will detect the real ip address even if the user uses a proxy (public proxy to be correct). I wouldn’t worry about falling behind the other bloggers. They are posting a lot more consistently – so you cannot really compare. But you have a lot of other projects you are working on, and it would be great to hear more about them. When you see a lot of spammers, you can make up your mind that you are growing up. There a lot of ways to prevent spammers, but nothing is effective. Data Recovery</a. Here you can see something about this. I think the biggest problem with your blog is that you don’t post enough. This blog could reach 5k rss this year if you posted every day. What is going on with your video game anyway? Yes, usually after a good post, I start checking the site every day. Rarely is there a post during that time. Then finally I give up and forget about the site for a week or even a month or longer. It happens every time. I just forget about it because there is nothing new. I bet this happens a lot. If you posted consistently, your traffic should shoot up quite a bit. It is just about the only way to keep surfers visiting your site habitually. spam will be the biggest problem whatever people try to find ways to avoid it. because spammers are a part of the community and they will improve new ways. Always try to be more innovative and attentive, To avoid the spamming do always unique and prolific things which can make your work more easy and comfortable. Always try to avoid the spamming. Congrats on the RSS record. The guest blogging option also sounds pretty interesting. I might take you up on that soon! Congrats on the RSS record.